According to the telemetry, the SSDV ID of the images taken on November 7 was 133 to 141. 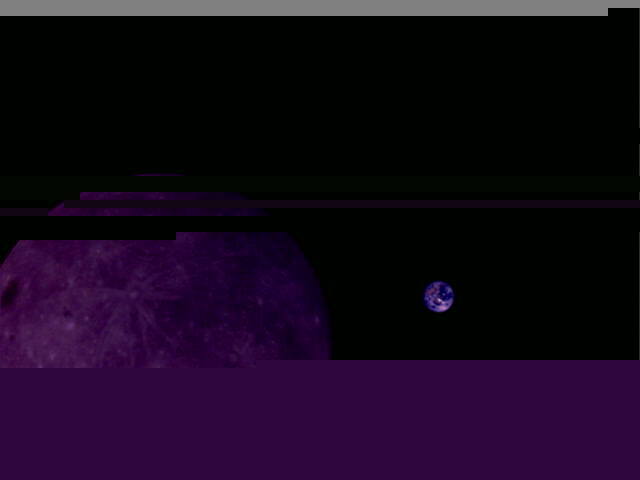 This corresponds to IDs 5 to 13 in the camera buffer of 16 images (actually, the ID in the camera buffer can be obtained by reducing the SSDV ID modulo 16). 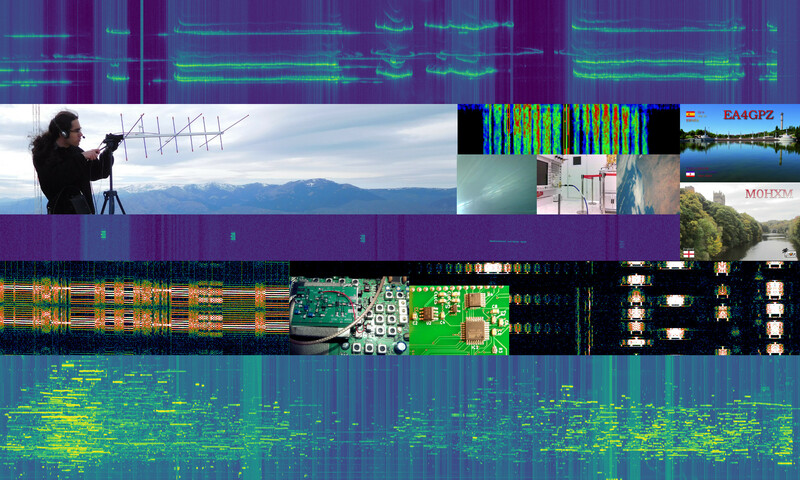 The stations and people collaborating in these activities have been the Dwingeloo radiotelescope PI9CAM, in charge of receiving the SSDV images on the 70cm Amateur band; Reinhard Kühn DKL5A, who has been providing telecommand using his large 2m Moonbounce station; Wei Mingchuan, who planned and coordinated the activities; and myself, coordinating the activities over the weekend, when Wei was not available. The people in charge of operating the radiotelescope have been Tammo Jan Dijkema, Cees Bassa, Paul Boven PE1NUT, and Auke Klazema (I hope not to forget anyone). On November 7, after the series of 9 images was taken, the last of them was downloaded. The exposition in this image was very good. As usual, some small chunks were lost, probably due to jumps in the onboard TCXO on DSLWP-B. Update 2018-11-13: Tammo Jan tells me that most of the lost chunks in the image below are due to problems with the clock of the USRP B210 used to received the signal in Dwingeloo. 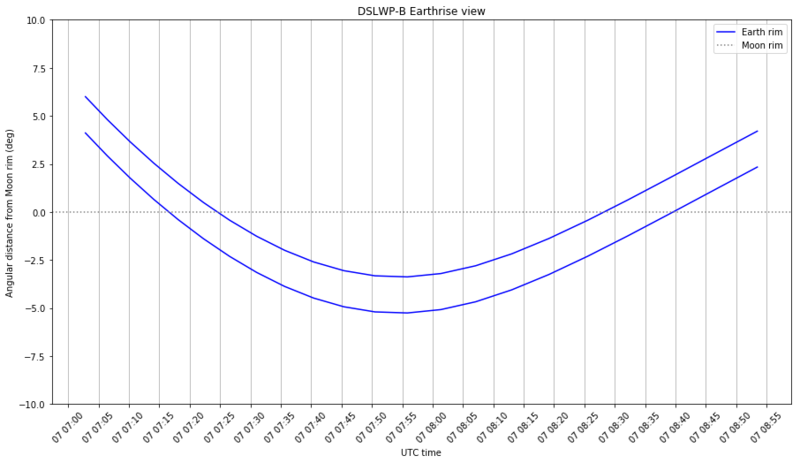 The lost chunks in the other days are due to the DSLWP-B TCXO, however. SSDV image 141. Taken on 2018-11-07 9:33. Downloaded partially on 2018-11-07 9:45 to 10:13. On November 8, the first three images of the series were downloaded. This showed the Earth starting to appear behind the Moon. 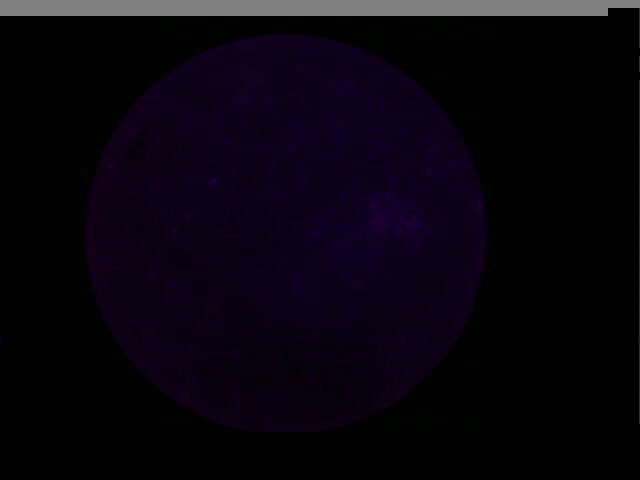 Unfortunately, since the whole Moon was in view, the automatic exposure control of the camera made the images too dark. SSDV image 135. Taken on 2018-11-07 8:33. Downloaded partially on 2018-11-08 10:07 to 10:23. SSDV image 133. Taken on 2018-11-07 8:13. Downloaded partially on 2018-11-08 10:30 to 10:46. SSDV image 134. Taken on 2018-11-07 8:23. Downloaded partially on 2018-11-08 10:53 to 11:02. On November 9, three of the remaining images were downloaded. SSDV image 136. Taken on 2018-11-07 8:43. Downloaded partially on 2018-11-09 12:12 to 12:28. SSDV image 137. Taken on 2018-11-07 8:53. Downloaded partially on 2018-11-09 12:37 to 12:54. 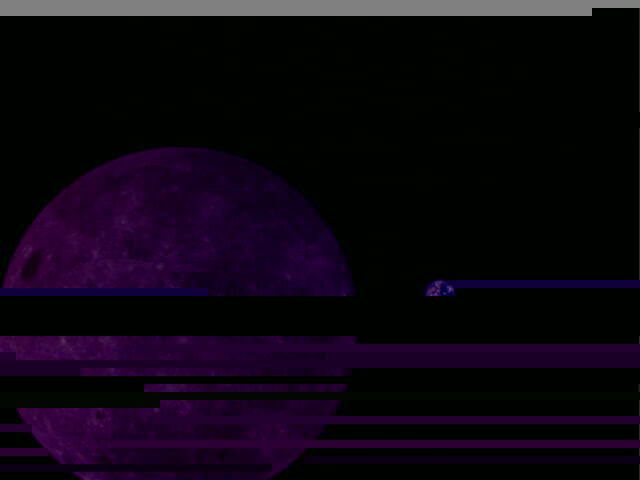 Also, somehow, image 0 in the buffer, which corresponded to SSDV image 128 was erroneously selected and downloaded. This image was taken a few days before November 7. SSDV image 128. Downloaded partially on 2018-11-09 13:04 to 13:14. SSDV image 139. Taken on 2018-11-09 9:13. Downloaded partially on 2018-11-09 13:38 to 13:53. On November 10, with most of the images downloaded, the main job was to fix the images by downloading the missing chunks. First, image 133 was fixed by commanding manually the download of chunks 0, 14, and 15 (each chunk requires a separate telecommand). SSDV image 133. Taken on 2018-11-07 8:13. Download completed on 2018-11-10 14:16 to 10:25. Then, between 14:33 and 14:46 we attempted to fix image 134 by downloading chunks 4, 5 and 28. However the command to download chunk 28 had been generated incorrectly and chunk 18 was downloaded instead. Next, image 135 was fixed by downloading chunks 32, 35, 60 and 61. SSDV image 135. Taken on 2018-11-07 8:33. Download completed on 2018-11-10 14:54 to 15:07. Then, image 137 was fixed by downloading chunks 22 and 23. SSDV image 137. Taken on 2018-11-07 8:53. Download completed on 2018-11-10 15:15 to 15:18. 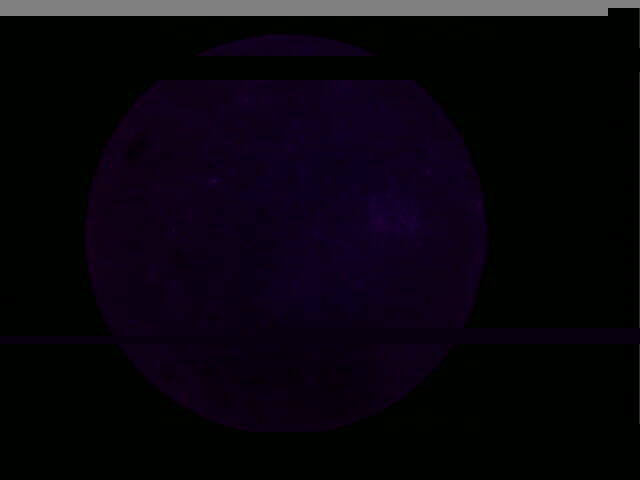 While these images were being fixed, the SSDV decoder on the telemetry server was not running correctly. It had forgotten the data downloaded on the previous days, so it was storing the new chunks in new images instead of fixing the old ones. This made it more difficult to determine if the images had been fixed correctly (using the log of the SSDV decoder was essential to determine if the new chunks had been received correctly). 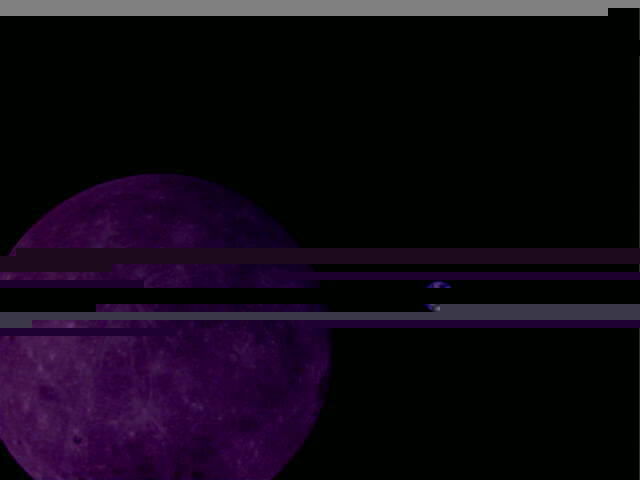 Indeed, the SSDV decoder hasn’t been fixed yet, so the three images you see above have been made by merging the old and new partial images by hand. After fixing the old images, a new image was downloaded according to Wei’s planning. SSDV image 138. Taken on 2018-11-07 9:03. Downloaded partially on 2018-11-10 15:27 to 15:44. There was still time to attempt the download of the next image in Wei’s planning. 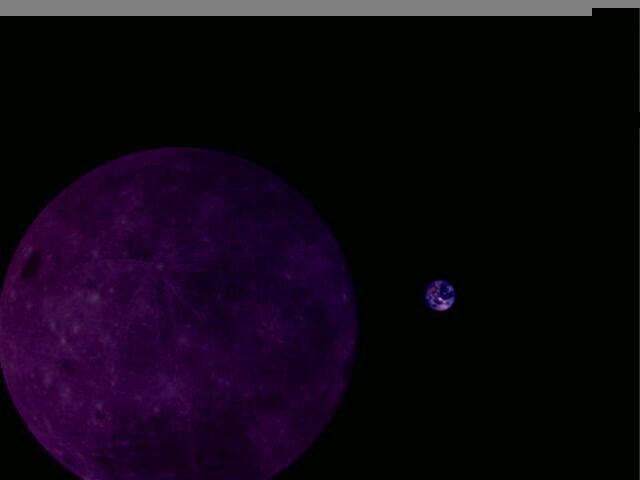 However, the Amateur payload switched off at 16:00, before the end of the image. SSDV image 139. Taken on 2018-11-09 9:13. Downloaded partially on 2018-11-10 15:49 to 16:00. This image 139 had been download before on November 9. By joining the data from the two days by hand, it was possible to recover the complete image. SSDV image 139. Taken on 2018-11-09 9:13. Completed by merging data from Nov 9 and 10. On November 10, due to the high number of chunks that needed to be downloaded manually, Reinhard sent a lot of commands, most likely achieving the record of commands sent in a single observation. The telemetry showed a total of 19 accepted commands, but I think that it doesn’t count every command. Also, most of the commands were accepted correctly, with no need to repeat them. A single command lasts 81 seconds, so that is a lot of use of Reinhard’s kilowatt amplifier, and at some points we had to wait for the amplifier to cool down. On November 11, Hu Chaoran BG2CRY made a new command to download the missing chunk 28 in image 134. This command was then sent by Reinhard and so the image was completed. SSDV image 134. Taken on 2018-11-07 8:23. Download completed on 2018-11-11 13:37. After this, a command was sent to download image 138, from chunk 24 until the end. This completed the image. SSDV image 138. Taken on 2018-11-07 9:03. Download completed on 2018-11-11 13:44 to 13:55. Next, image 140 was download. The download completed without any lost chunks (except chunk 0, which is never sent in a complete download due to some bug). SSDV image 140. Taken on 2018-11-07 9:23. Downloaded on 2018-11-11 14:00 to 14:10. Then, image 141 was downloaded twice, first between 14:16 to 14:31 and then between 14:34 to 14:49. 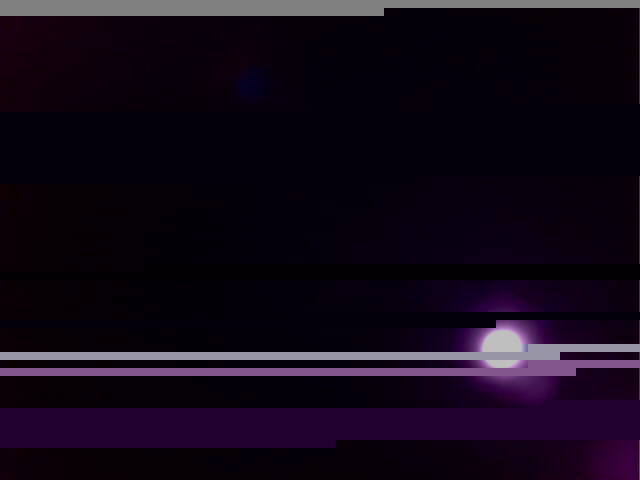 This image was downloaded twice because the first time some chunks were lost. Since we didn’t notice that the same image had been downloaded partially on November 7, we commanded the download a second time, and the image was completed without using the data downloaded on November 7. SSDV image 141. Taken on 2018-11-07 9:33. Downloaded on 2018-11-11 14:16 to 14:49. 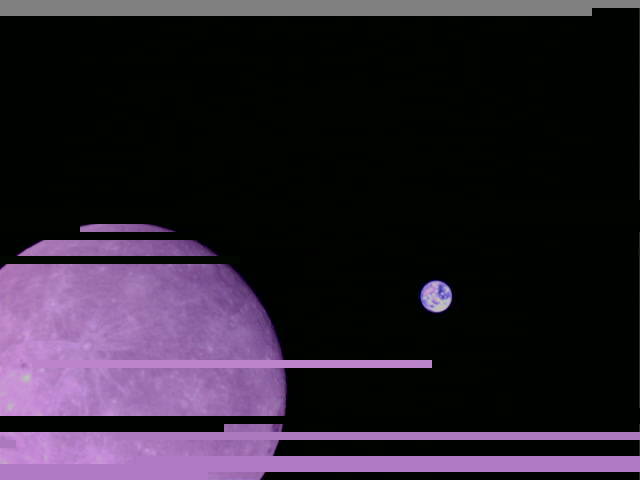 After this, since we had already finished Wei’s planning and all the images in the series had been fixed, we decided to download image 142, which had been taken on 2018-11-08 at 9:40 UTC when the Amateur payload came online. According to my prediction, this image should show the Earth alone. 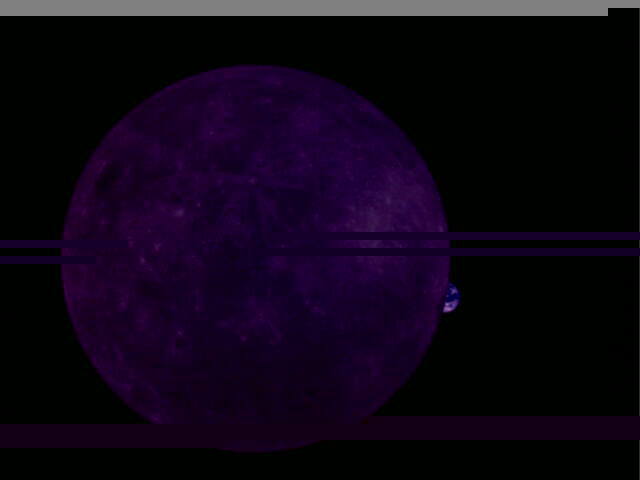 Indeed, the Earth was present, but since the Moon was not present, the automatic exposure algorithm of the camera made the image overexposed. SSDV image 142. Taken on 2018-11-08 9:40. Downloaded on 2018-11-11 14:59 to 15:09. After the download of this image, we decided to stop downloading images to prevent the transmitter from getting too hot, even thought there were still 20 minutes until the end of the observation. The transmitter had been running almost continuously during this observation period and several images had been downloaded, raising the battery temperature to 37ºC. The complete series of images in order can be seen below. 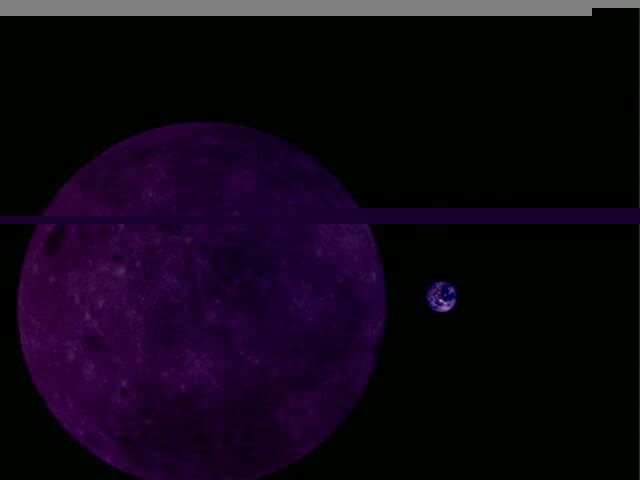 It is interesting to note that the image that shows the Earth partially occulted by the Moon is image 135. 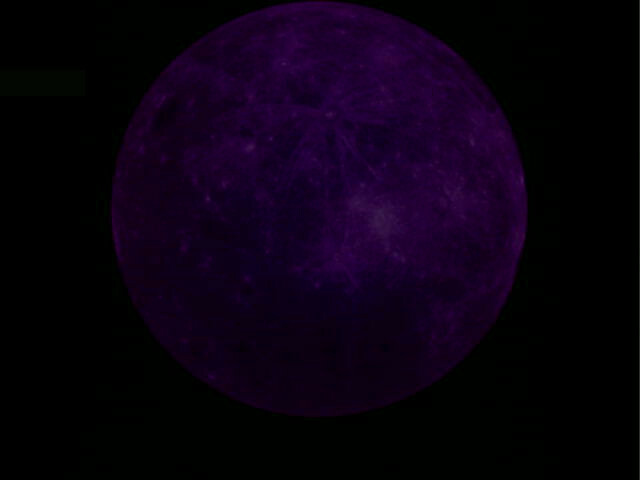 It was taken at 8:33 UTC. On my latest camera planning post, using an orbital state dating from November 1, I generated the following prediction for the situation of the Earth in comparison with the Moon’s rim. Earthrise planning for 2018-11-07 using the Moon ICRF orbital state for 2018-11-01. 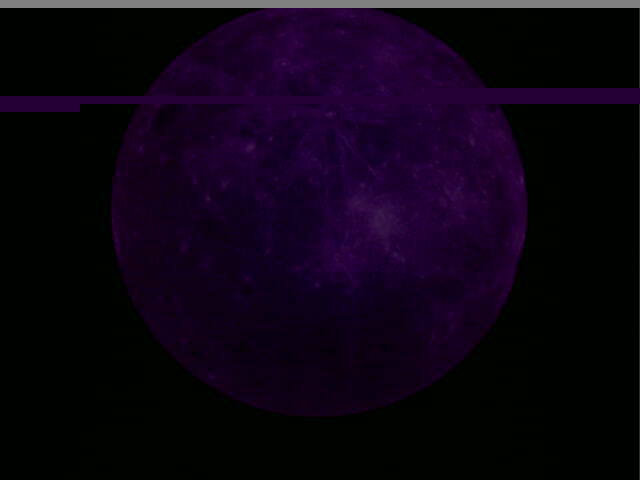 We see that the Earth reappears behind the Moon between approximately 8:27 and 8:40. 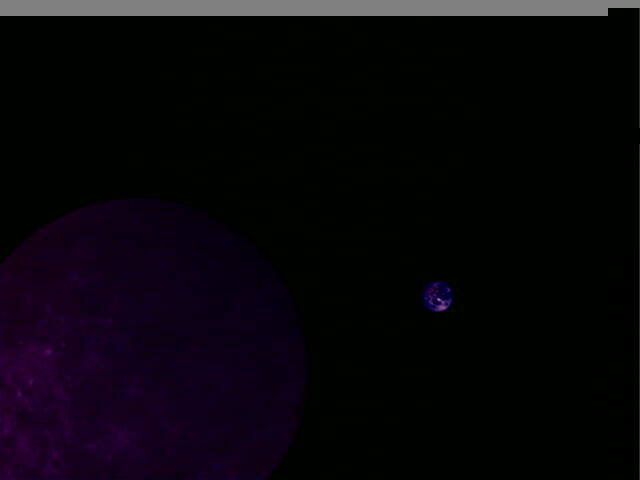 At 8:33 approximately half of the Earth is showing, as we have seen in image 135. This validates the orbital state and my predictions. It is also interesting to observe that, by mere chance, the rotation of the images coincides with the rotation I use in my GMAT simulations. 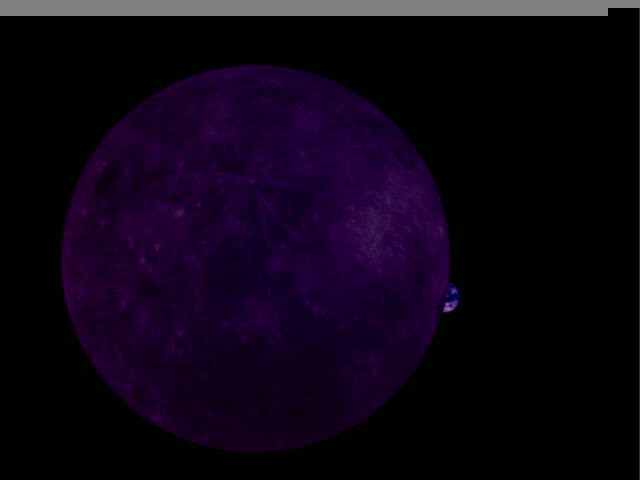 The “up” direction in the images is approximately normal to the ecliptic plane, pointing north. 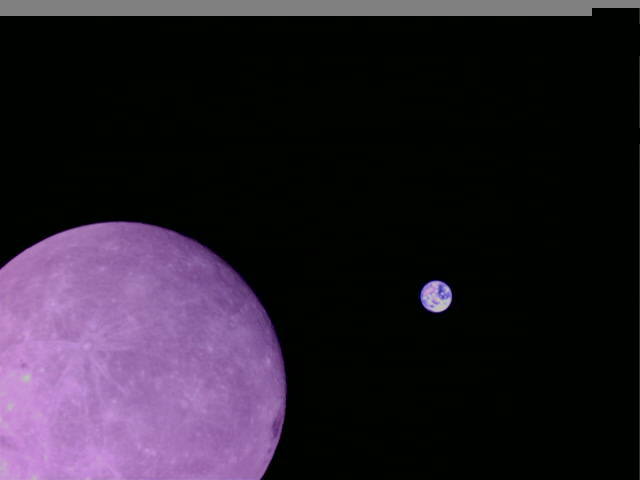 Wei has made a good job at color correcting the images. With the results, he has made an animated GIF that was first published by the PI9CAM twitter account. Note the subtle movement of the Earth. 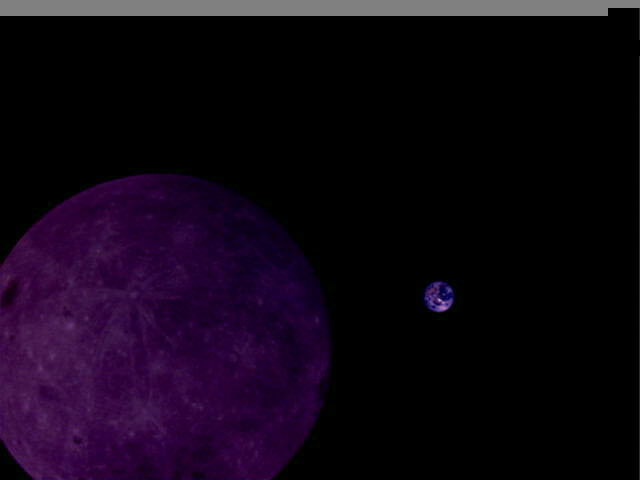 First, it can be seen moving towards the left, as the Moon (and DSLWP-B) orbits around it. 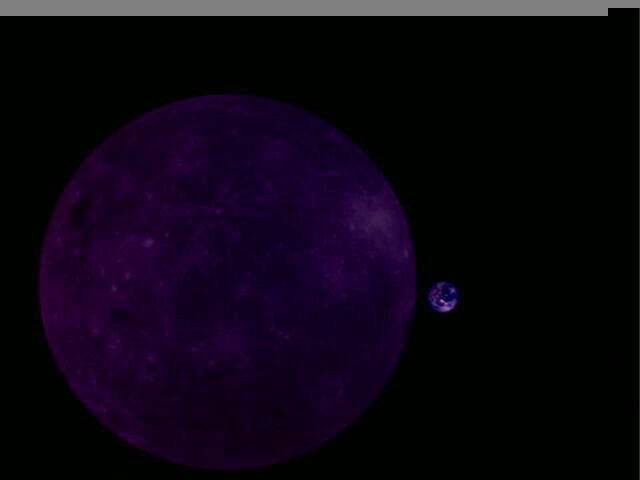 The orbit of the Moon around Earth is anti-clockwise if viewed from the north pole, so in this image, the Moon would move to the right. The net effect is that the Earth moves to the left. Second, the Earth’s rotation about its axis can also be seen. Again, Earth’s rotation is anti-clockwise if viewed from the north pole, so in this image, the left side of the Earth rotates towards the right. congratulations for you and for all the team, to produce this really successful, spectacular series of pictures, and other resultes about validaton of the simulations, and soo. My small addition to this is the link to the relevant telemetry data. This is the time series of the t_battery variable, at the end of operations it is 37.8 C.
We can see similar graph from the data of the onboard radio power unit. The variable is t_pa and last value is 36.8 C.
Indeed the temperatures of the OBC and battery reached record levels (at least over the few days that are displayed on the telemetry webpage). While probably these are still far from safety margins, we didn’t want to push the transmitter too hard. It is interesting to note that the battery doesn’t seem to cool down completely between activations on different days. If you look at each of the local minimums, which correspond to the starts of each of the activations, you can see how the temperature keeps rising steadily over a week of heavy use.